I love fall. It is nice to know when you step out the door that you are not going to be beaten down by intense sunlight and oppressive temperatures. Fall is simply a great time to enjoy the outdoors. It is hard to beat a clear, seventy degree day for golf or a college football game (Go State!). I also enjoy getting out and watching leaves transform from green to various shades of yellow, orange, and red. Warm, clear days and cool, crisp nights set the stage for fall fireworks in the landscape. Many trees and shrubs can put on quite a show with their foliage and flowers. Most of our trees and shrubs have already flowered by the time October and November roll around. 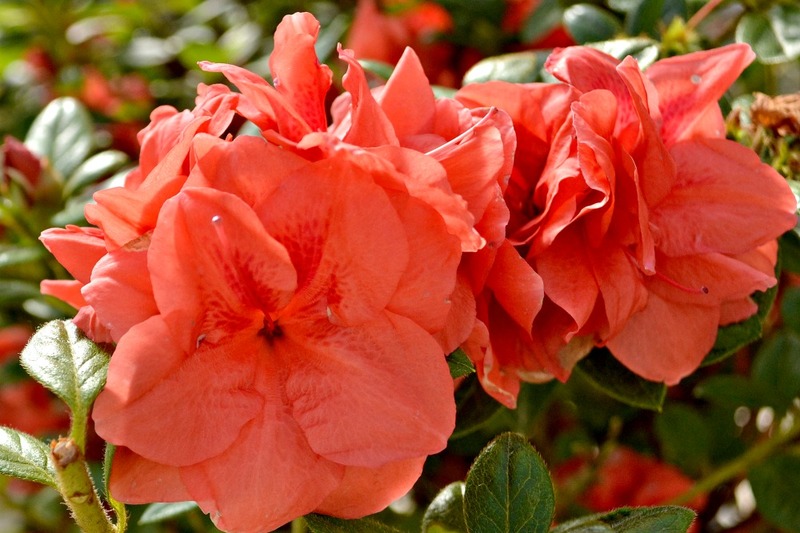 Encore azaleas and camellias allow gardeners to enjoy flowers through the fall months. 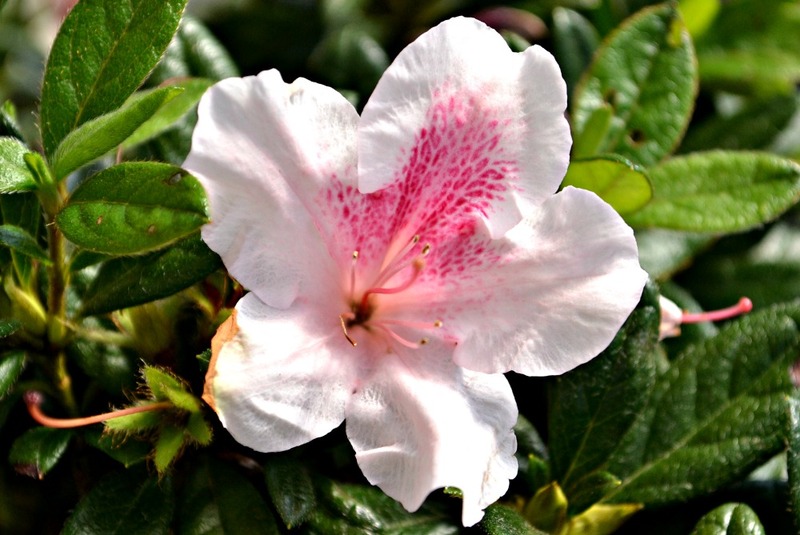 Encore azaleas are hybrids that flower on both old and new wood. That means the plant have the capability of flowering in the spring, summer, and fall. The spring flowers are produced on wood that was formed from the previous year while the summer and fall flowers are produced on the growth from the current year. Encores can add color to the fall landscape in shades of pink, coral, purple, white, and red. Camellias have been a favorite in the southern garden for years because of their ability to shine in the fall and winter months. 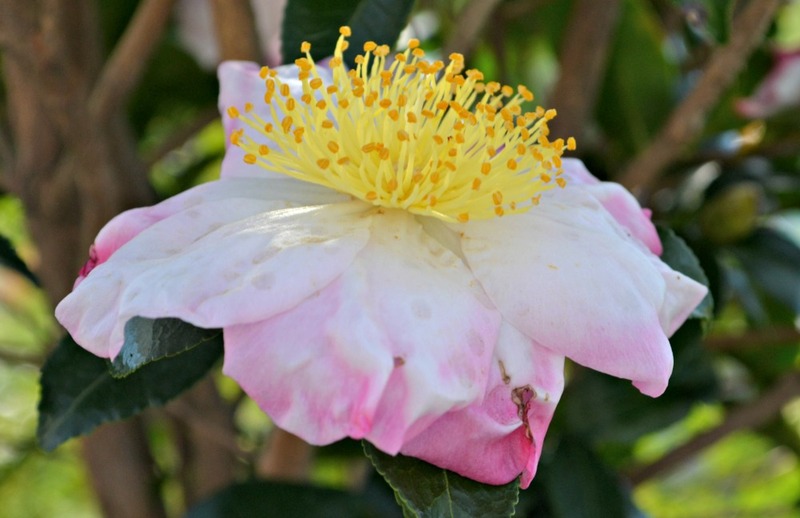 Camellia sasanqua is the species of choice for fall flowers while Camellia japonica produces its flowers in spring. There are several other species and many different hybrids available that all vary in flowering period. 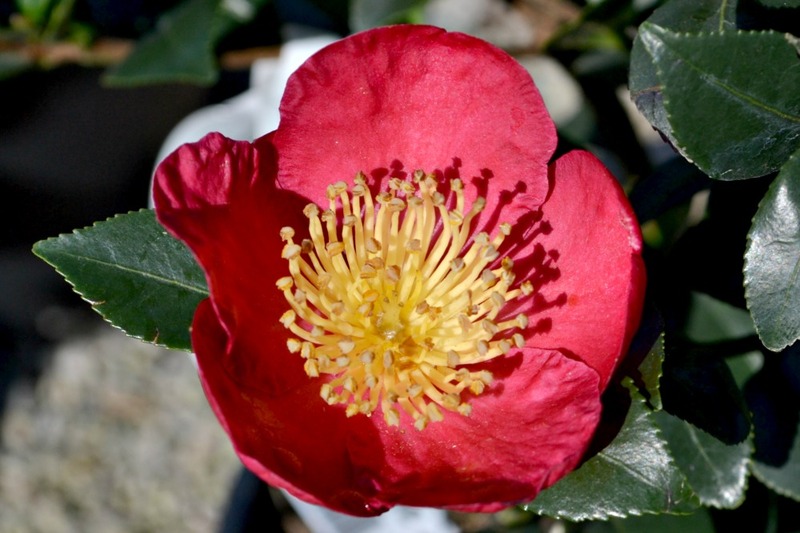 Camellia sasanqua cultivars can begin to flower as early as October and some flower into January. Most sasanquas have smaller leaves and flowers than the japonica forms. They can vary in size from four feet tall and wide to around fifteen feet in height. 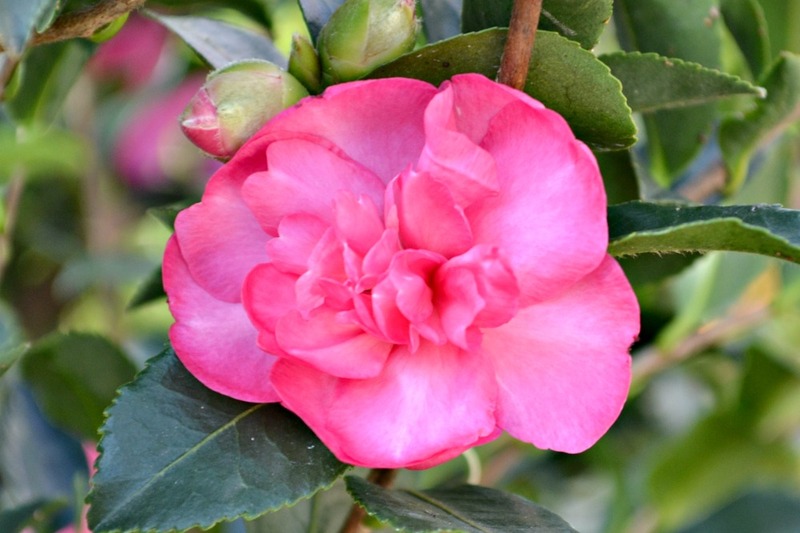 Both encore azaleas and camellias prefer areas in the garden where they can receive a break from intense sunlight during the afternoon hours. Berries can make an impressive impact in the fall landscape. 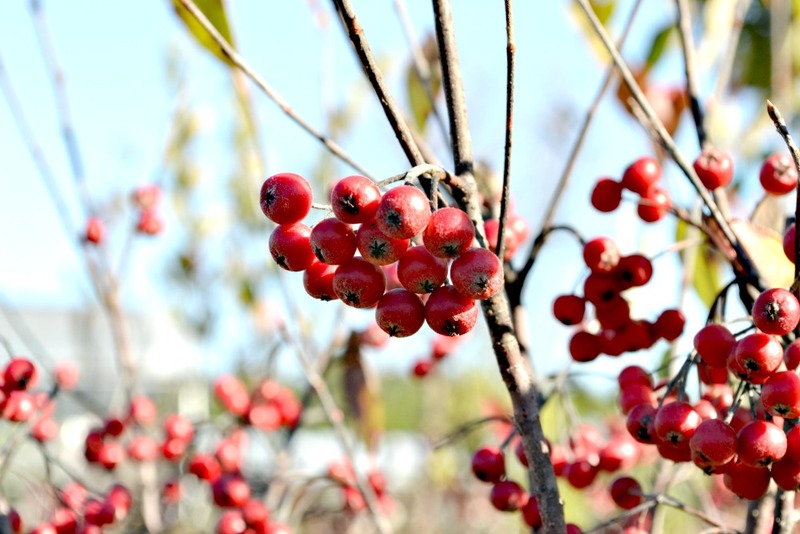 Plants such as beautyberry, deciduous holly, and pyracantha produce berries in colorful clusters. Beautyberry (Callicara americana, Callicarpa dichotoma) is a deciduous shrub (it loses its leaves) that can attain heights and widths close to five feet. This shrub blooms in the spring and produces a large cluster of small purple berries in the fall. 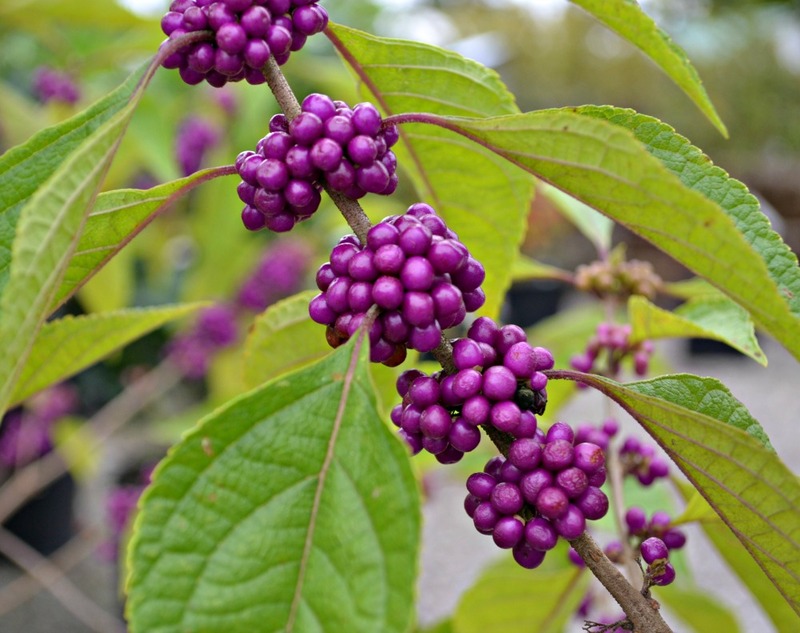 Beautyberry is strikingly beautiful when planted in mass in the landscape. Many gardeners are familiar with evergreen holly and its berries, but the deciduous hollies are a little more obscure. There are many different species and cultivars available when it comes to deciduous hollies (Ilex verticillata). These plants can range in heights from three to twelve feet and widths of three to eight feet. Deciduous hollies are tough plants. They can handle poor soils with bad drainage, a lot of sun, or some shade. The berries begin to change color during the fall months and become fully exposed when the foliage falls off of the plants. Red, orange, and even yellow colored fruiting cultivars are available. The major issue with deciduous holly is ensuring that female plants have pollinators available. The female plants are the only plants to produce fruit and can only be pollinated by a male member of the same species, or a hybrid of the species. Male cultivars such as ‘Jim Dandy’, ‘Apollo’, and ‘Southern Gentleman’ are capable of pollinating many deciduous holly plants. 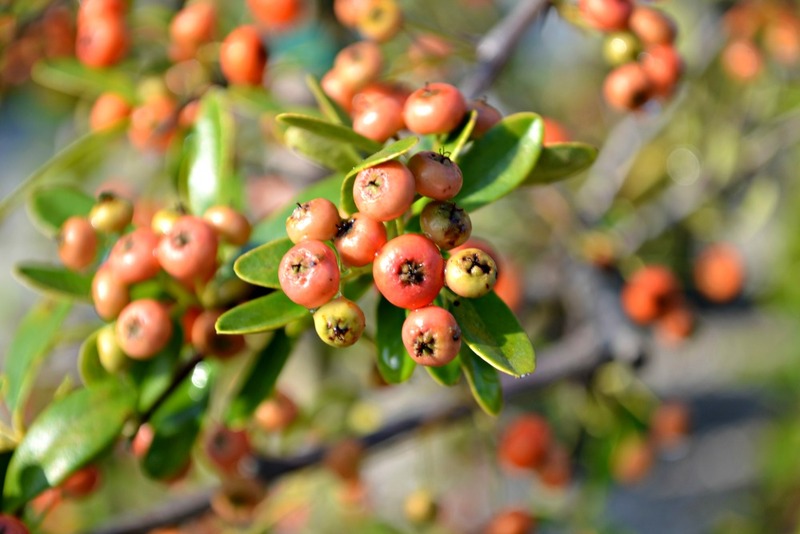 Pyracantha is another plant commonly seen loaded with berries in the fall. Pyracantha (Pyracantha sp.) is a medium to large sized evergreen shrub that can be used as a hedge, espaliered on a trellis, or left alone to grow naturally. White flowers in spring are replaced by bright orange or red berry clusters in the fall. Not only do these berries add to the interest of our landscapes, they also feed birds and other wildlife in the fall and winter months. Watching our native forests change color in the fall can be amazing. Oak, maple, sweetgum, dogwood, sourwood and many other species combine to create a sight that is uniquely special. There are not many other areas in the world that have a climate like the eastern United States in fall. Our warm, bright, sunny days combined with cool, crisp nights are the reason we can see such extreme change in foliage color. Echoing the colors in our native forests to our landscapes can be fairly easy. Trees like maples, dogwoods, and crepe myrtles can be added as an exclamation point of the fall season. 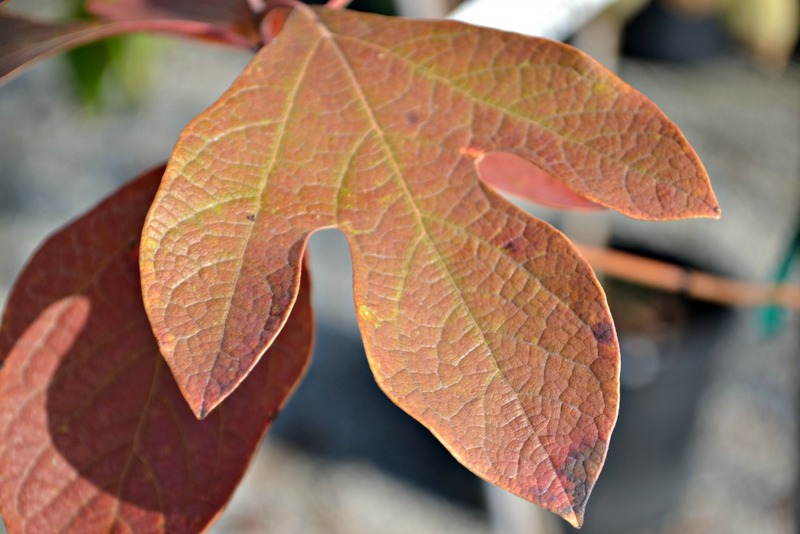 One of the most popular trees that we have here at the garden center is red maple (Acer rubrum). ‘October Glory’ and ‘Autumn Blaze’ (actually a hybrid between silver and red maple) are our two most popular cultivars. These trees can achieve fifty feet in height and forty feet in width. The foliage of red maple emerges green in the spring and turns vibrant crimson red in fall. 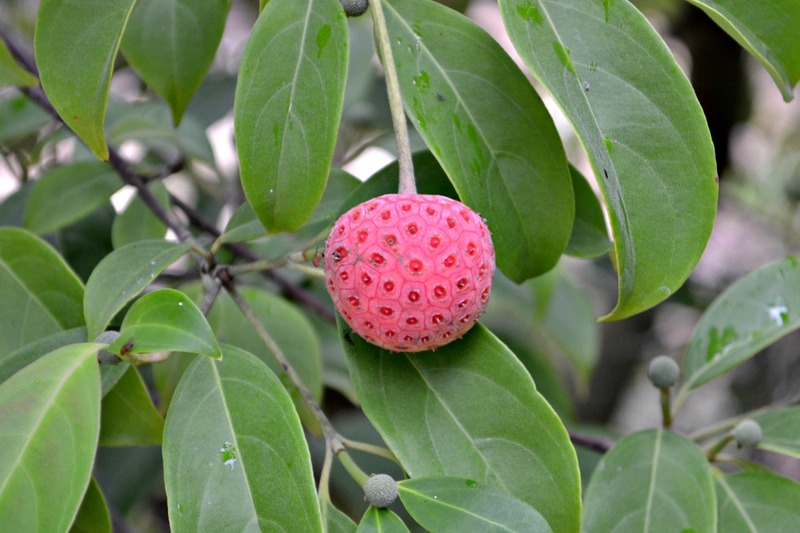 Dogwoods (Cornus florida, Cornus kousa) are valued for more than just their flowers. 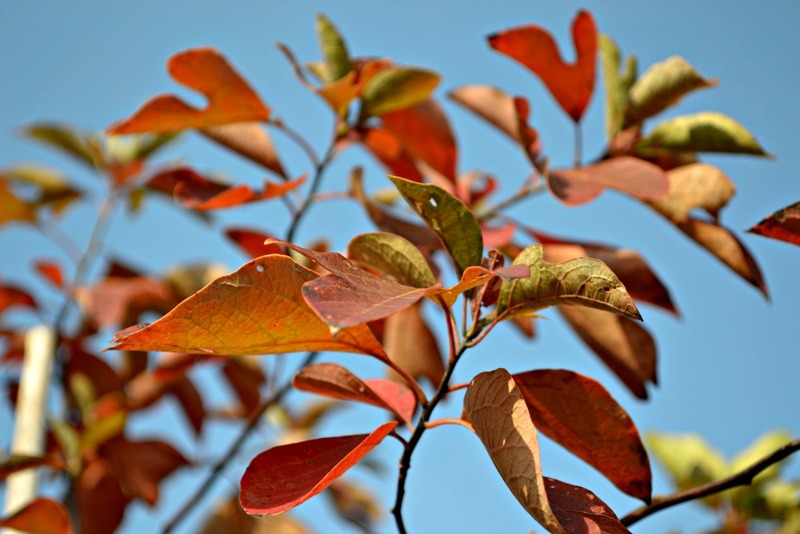 Dogwoods have the ability to produce dark red, almost purple foliage in fall. The fall color combined with the fruiting and flowering ability make dogwoods a valuable tree in the garden. Dogwood berries are a preferred food for bluebirds during the fall season. 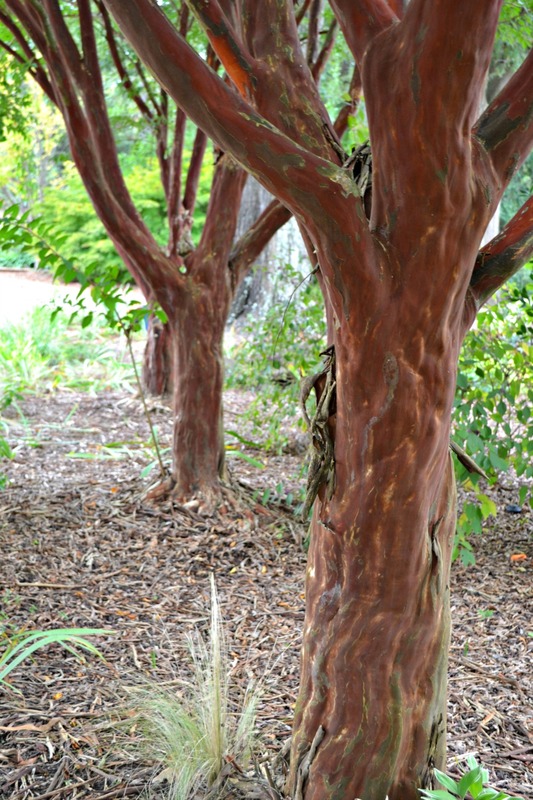 Crepe myrtles (Lagerstroemia sp.) can also produce an impressive showing in fall. Colors ranging from yellow to orange and red can be seen on many different cultivars. Fall is a wonderful time of the year. The weather is perfect for us to get out of the house or office, away from the computer or television and enjoy the outdoors. The next time you are waiting to tee off, tailgating at the stadium, or simply enjoying the outdoors, make sure to take a look around and enjoy the fall colors. They do not last long and it will be a year before we see them again.